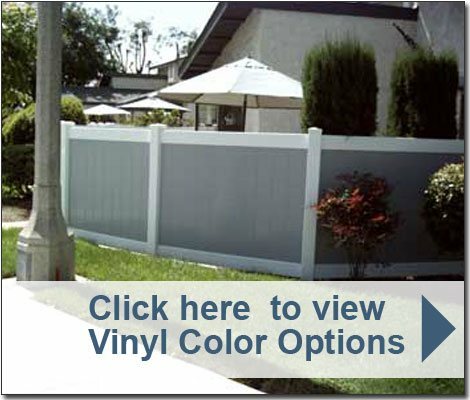 Country Estate Fence Company, Inc. is Southern California's premier choice for beautiful, long-lasting vinyl gazebos. Our vinyl gazebos come in an array of sizes (ranging from seven to ten feet), colors (white, almond, gray, and adobe) and finishes (smooth and woodgrain). 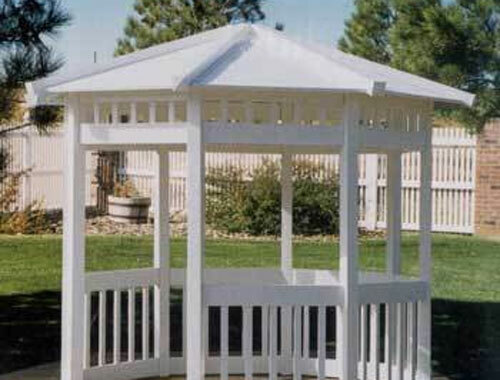 All of our gazebos are made from 100% virgin PVC compounds and require little to no maintenance or painting. In fact, they are uniquely designed to resist rotting, flaking, peeling, blistering, and fading, and are backed with a 50-year non-prorated limited manufacturer's warranty. As such, Country Estate® vinyl gazebos have gained a reputation for consistently outperforming gazebos made of imitation polyvinyl as well as wood. From design to installation, our highly experienced craftsmen will work with you to produce a visually striking vinyl gazebo that lasts for decades. We are licensed, bonded, and insured, and have over 30 years of experience custom building and installing vinyl gazebos for customers throughout Los Angeles, Riverside, and Orange County areas. We offer free, on-site estimates for all of our vinyl gazebos and will gladly take the time to discuss the options for a matching vinyl fence, gate, arbor, railing, and/or deck.